Beth Fantaskey’s Debut Novel Jessica’s Guide to Dating on the Dark side was the reason why I bought two more books she’s written. One of them being the sequel to the book I just mentioned and then this one, a unique twist to the classic tale of Dr. Jekyll and Mr. Hyde. The book is centered on the descendants of Jekyll and Hyde. A teenage boy (Hyde) and girl (Jekel) both suffering the darkness that was brought forward by their ancestors. I was really intrigued by the concept of the entire book. I’ve always wondered what the children of Hyde would be like and this book just answered it. Hyde’s descendants suffer from black outs and nightmares. They also go through murderous rages. I’m actually disappointed in the book. Don’t get me wrong; I loved the plot and the mysteries behind deaths, murders, and insanity. But everything else seemed extremely forced. Jill Jekel is insecure and believes that a gorgeous guy like Tristen Hyde would never show any interest in her. There’s nothing unusual about that. But getting into her thought process and listening to her ramblings and teenage angst was just way over the top. There’s a fine line between angst that deserves to be angst and being pathetic. Jill was being pathetic half the time. And Tristen isn’t helping with his brooding, British self and his determination to use Jill to get the formula to the concoction that made his entire family line. As much as I want to swoon over the entire book, I just found it forced, and unrealistic. 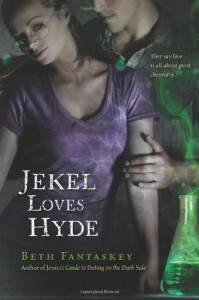 I enjoyed the whole mystery and trying to find the antidote to the Hyde’s curse. 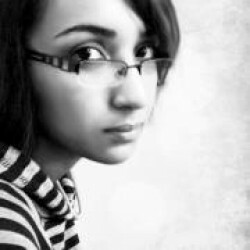 The romance in between was just too – we just met but I think I love you. Honestly, Beth Fantaskey could have done it better. I don’t know what changed but I know she could have written it a lot better than this. Authors have their ups and downs too.